The Triduum was kept by the Sisters in the traditional manner. 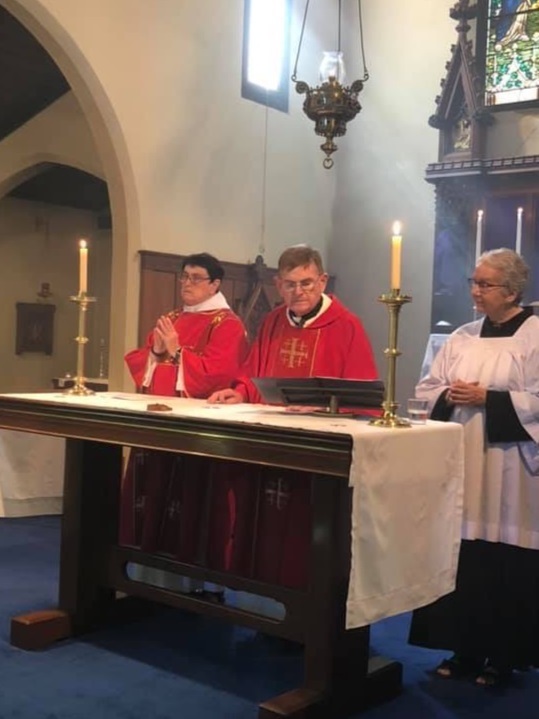 Sr Juliana either served or deaconed at all the main services from Maundy Thursday, through Good Friday to the Easter Vigil at St Mary Magdalene’s in the City. 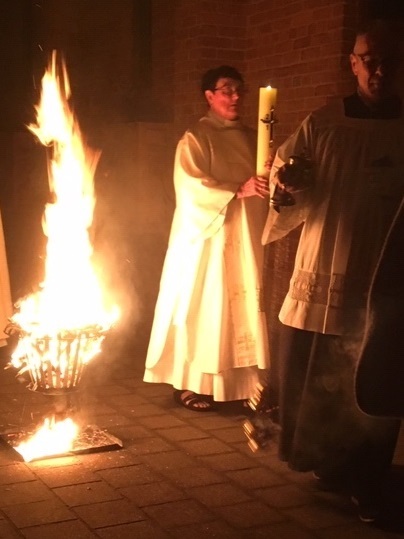 This year, Sr Juliana sang the narrator’s part on Palm Sunday and Good Friday, and rejoiced in singing the Exsultet, the Easter Praises at the Easter Vigil at dawn after a 4.15 am rise. This was followed by a Gala Breakfast. 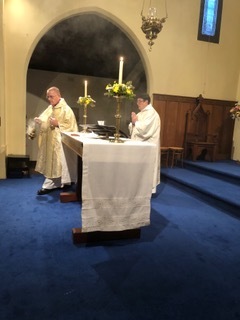 The Sisters attended the Sung Eucharist on Easter Day at St. Francis of Assisi, Clarence Gardens, Sr. Juliana’s last parish as parish priest. They are continuing to enjoy the Easter week. �! Christmas in Adelaide this year was very hot, as it can be. However, we were prepared in time. 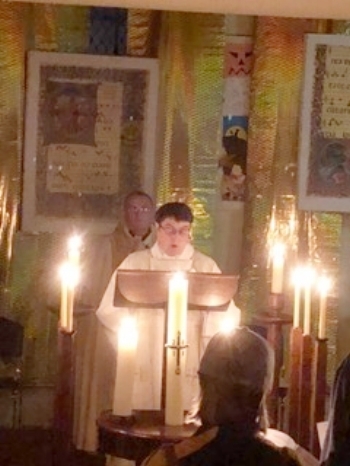 Christmas Eve service at St Francis of Assis, Clarence Gardens, Sr Juliana’s last parish. Sr Juliana celebrated the Christmas morning eucharist at St Mary Magdalene’s. Then we celebrated with a special morning tea at home; see Miss Daisy below after she opened her presents….she loves the paper as much as the contents. Sr Patricia was the cook for a beautiful Christmas Dinner in the mid afternoon, before Evensong and a welcome nap. 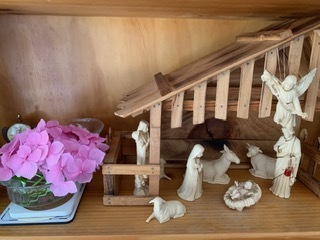 The Christmas season was enjoyable for many days, though the heat continued. We cooked Christmas dinner again on Holy Innocents for Bishop Keith Rayner, our Visitor. Miss Daisy unwraps her Christmas presents! 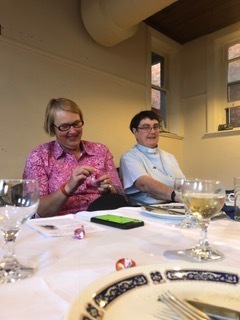 On Sunday April, over 50 friends from all the parishes where the Sisters have worked gathered for the 36th anniversary of the foundation of the community. 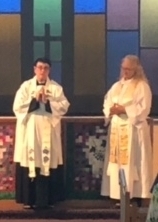 Sr Juliana was the officiant at the traditional Evensong for the Annunciation to the Blessed Virgin Mary at St Francis of Assisi, with the Rev'd Andrea McDougall, the recently arrived parish priest, as the preacher. The singing was amazing as usual as the congregation sang the hymns of the Annnunciation and the Incarnation. 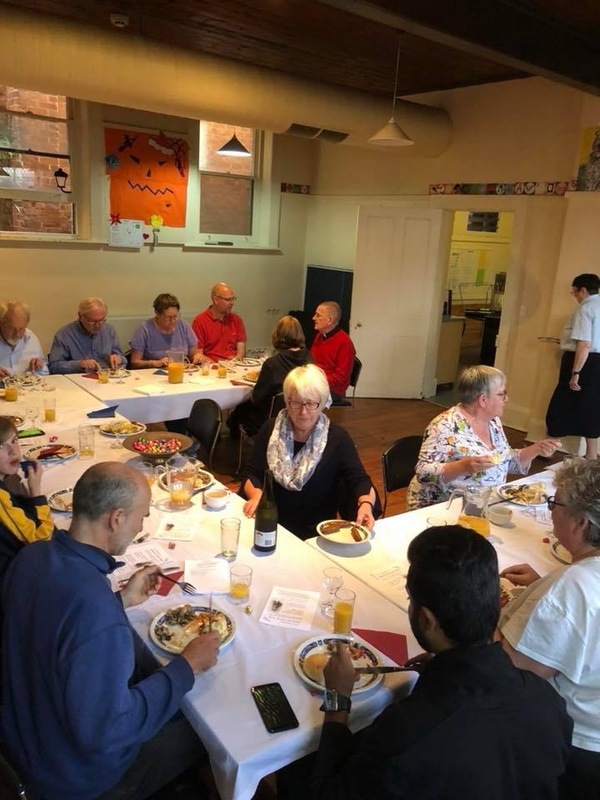 After Evensong, everyone moved to St Francis Community Centre for a sumptuous, though not healthy, High Tea, where there was much catching up with old friends. It is a long tradition which we hope will continue as all seem to enjoy the celebration.